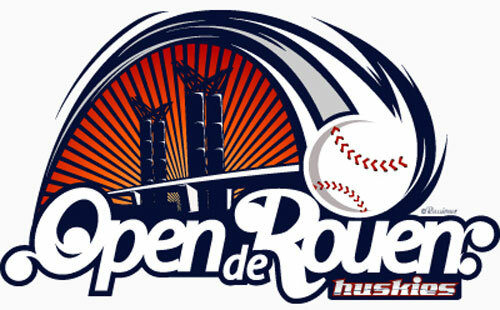 The German club GAUTING INDIANS has won the first edition of the international tournament Open de Rouen at the ballpark of the reigning French champion ROUEN HUSKIES. The team, which was reinforced by several other American Baseball-Bundesliga players like Matt Vance (REG), Matt Pali and Chris Beck (SOL) among others, defeated the USA Athletics International 13-2 in the title game on Sunday late afternoon. Kenny Camp (SLS) picked up the win with a strong performance on the mound. Player/head coach Trey Hendricks hit a homerun. Team USA only were dangerous in the opening frame by scoring two runs, but the INDIANS offense with finals MVP Vance overpowered the opposing pitching afterwards. Eddie Aucoin (REG) was named best pitcher of the tournament after leading GAUTING to a 2-0 shutout over the French national team in the semi-finals on Sunday morning. Steven Delannoy (HOBOKEN PIONEERS) of the Belgian national team got the trophy for the best batter. MVP of the tournament was Colby Anderson from Team USA. Martin Johnson from Quebec won the homerun contest on Saturday edging out local hero Kenji Hagiwara of the ROUEN HUSKIES. The USA Athletes had reached the final game with an 4-1 victory over Quebec in semi-final one on Saturday evening, sealing the win with an eight-run rally in the seventh. The organizers already have announced plans to the second edition in 2010.